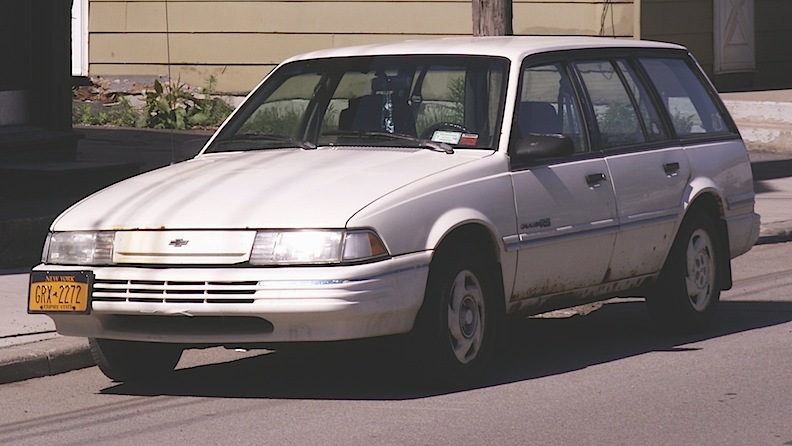 If nothing else, RRofWNY is an equal opportunity blog, which is why today we’re featuring this rather ordinary (but probably rare, these days) 1992 Chevrolet Cavalier wagon. Our sources tell us that almost 20,000 of these left the factory, but how often to you see one anymore? It’s too bad that the American automobile industry has pretty much given up on the compact station wagon in favor of crossovers and compact SUVs. I had a couple small wagons over the years, and they were cheap, practical transportation for both people and their stuff. Saw this white example a few months back in Blasdell. Jim Corbran, RRofWNY …and check out our Facebook page: Un-American Classic Cars The post RealRides of WNY appeared first on Buffalo Cars.